Polunsky Unit is a maximum security prison located in Livingston Texas, part of Polk County. The facility opened as the Terrell Unit, and was later renamed after the former chairman of the Texas Board of Criminal Justice Allan B. Polunsky. 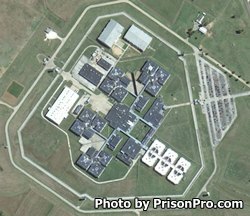 Polunsky Unit is regarded as one of the top ten worst prisons in the United States. What particularly stands out at Polunsky Unit is the treatment of Segregation inmates and those offenders who are awaiting execution on Death Row. Many have complained of harsh extended stays in solitary that have driven prisoners into madness. On the other hand, Polunsky Unit houses some of the most notorious and dangerous criminals in Texas, who have committed atrocious crimes. Prisoners at Polunsky Unit range from G-1 minimum security levels to G-5 Maximum and Death Row. The current capacity of Polunsky Unit is 2,984 male inmates. During their incarceration, offenders are encouraged to participate in educational programs that include literacy, adult basic education and the ability to earn their GED. Additional courses are offered for inmates who are preparing for release in the form of the CHANGES program. Vocational skills taught at Polunsky Unit include HVAC and refrigeration, millwork and cabinetry, electrical systems, carpentry, and transmission technician. Parenting courses, life skills classes and support groups are also available to offenders. Those inmates who are confined to solitary confinement or are currently on Death Row may not be eligible for participation in these activities. Polunsky Unit employs select inmates in an on site box factory, and provides a supervised labor force to the local area food bank and the Texas Department of Transportation. Additionally, some inmates are allowed to work in the facilities garden cultivating various food crops, on the facilities tree farm, and in caring for security horses and canines. Inmates at Polunsky Unit are secured by large concrete structures, multiple fences covered in razor wire, four armed guard towers and a multitude of electronic surveillance sensors and equipment. Inmates who are incarcerated at the Polunsky Unit are allowed visitation, however the day and time the inmate is allowed visitors will depend on which population the inmate is currently in. General population and Administrative Segregation inmates are allowed two hour visits on Saturdays and Sundays between 7am and 5pm. Inmates who are currently on Death Row are allowed visits on Mondays, Tuesdays, Thursdays and Fridays from 8am to 5pm. Additionally Death Row inmates can have visits on Wednesdays from 8am-noon, and on Saturdays from 5:30pm-10pm. You should always contact the institution before visiting to ensure visitation has not been canceled and that the visiting hours have not changed.